The DFB-Pokal (German Cup) Round of 16 draw will take place at the Deutsches Fußballmuseum (German Football Museum) in Dortmund on Sunday. The draw will be conducted by blind footballer Serdal Celebi and he will be assisted by Germany Women’s national team head coach Horst Hrubesch. Celebi entered the history books of German football with a beautiful goal for his club FC St. Pauli. The goal was voted “Goal of the Month” (“Tor des Monats”) in August 2018 and Celebi became the first blind footballer to win the prestigious award since its introduction in March 1971. The DFB-Pokal Round 2 featuring 32 team will take place this Tuesday and Wednesday. Defending champions Eintracht Frankfurt bowed out of the competition in the first round, which means the trophy will be handed over to a new champions after the final in Berlin on May 25, 2019. Last year’s losing finalists FC Bayern Munich will face underdogs SV Rödinghausen in a David vs Goliath encounter on Tuesday evening. Fourth Division side Rödinghausen are forced to play the match at the osnatel Arena in the city of Osnabrück, as their very own Häcker Wiehenstadion does not meet the criteria to host such a high-profile game. Bundesliga leaders Borussia Dortmund hope to continue their impressive campaign with a home game against 1. FC Union Berlin at the Signal Iduna Park on Wednesday. 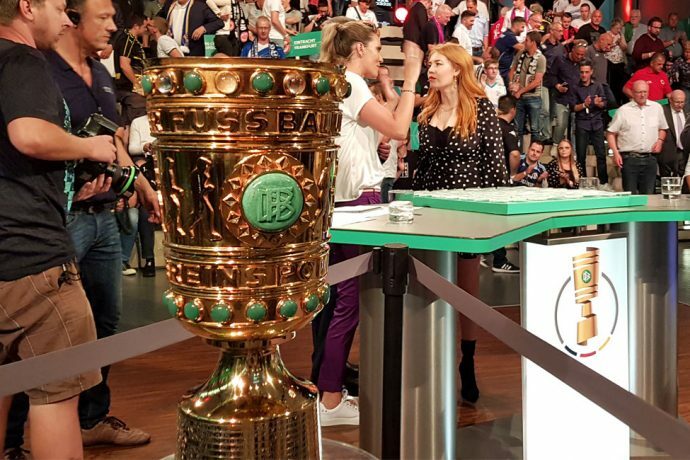 The DFB-Pokal Round of 16 draw will start at 18:00 CET and it will be broadcasted live on German national tv channel ARD as part of their “Sportschau” show. The live show will be presented by Matthias Opdenhövel. The Round of 16 matches will take place on February 5/6, while kick-off has been fixed at 18:30 and 20:45 CET. Qualifiers hosts for AFC U-19 Championship & AFC U-16 Championship confirmed! XtraTime VIDEO: East Bengal & FC Barcelona meet in Bangalore!